Just a reminder that the Director’s Contest is still going on and will end on February 5th! Attention to all directors of SocioTown! We have decided to hold a contest. Not just any contest, but a short film contest! There is no required theme for the film, so let your creative juices flow! Must have a plot, not just a tour. The Prize : The director of the winning film will receive a physical t-shirt to your actual home address! The design of the t-shirt will include something very similar to the post’s main image. 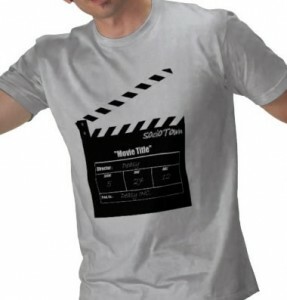 In addition to the shirt, all cast members of the winning film will receive 100 SoBucks. 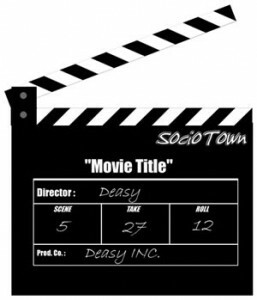 Email me at deasy@sociotown.com the information of your video, including the YouTube address, Title of the Film, and your Socian’s name. Remember that the deadline is February 05! She was featured in the 89th issue of The Journal. AnneMarieYoung’s room is quite simple. Placement of the beds seem to baffle me, however, as one is placed next to a bathroom, and another stashed openly in a corner. Yet, as odd as they are, the peculiar positions of the beds work. We’ve added a new feature where you can buy umbrellas. 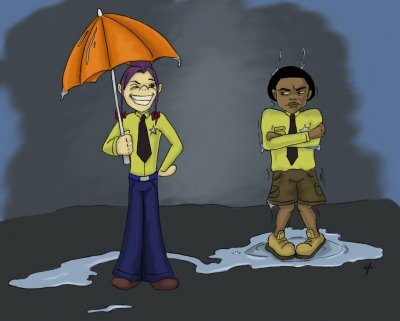 When you equip the umbrella, it will reduce the rain that’s falling around you (If you don’t see this, then you’ll need to clear your temporary files). 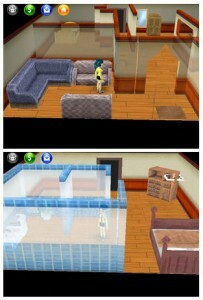 Unbreakable’s apartment is quite spacious. Instantly as you enter, you’ll be greeted by a divided front room. Off to the corner are doors that will lead you to many other rooms. There lied many toilets in the bathroom, and I wonder who they’re all for. Some of you may have noticed that Socians have been randomly passing out on their feet lately. That’s because we’ve added a new feature where if you’re idle for more than 5 minutes, your character will dose off on their feat. This will help other players know you’re away from your character. 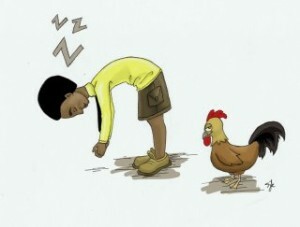 If you want to manually doze off, simply type “/zzz”. 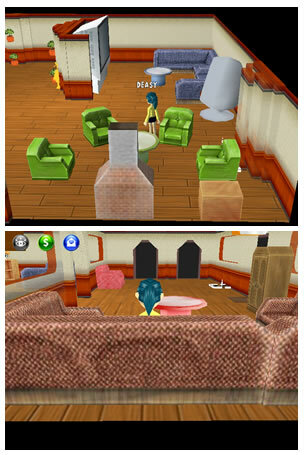 Also if you see someone else napping on their feet, click on them and you’ll get several options to wake them up.